If you suffer from seasonal allergies, you are probably preparing for the onslaught of itchiness, congestion and discomfort that the first days of spring seem to trigger. As much as we may love the smell of freshly cut grass and the sight of daffodils, it takes a toll on our bodies. But did you know that seasonal allergies can be an issue for our pets too? If your dog or cat seems to be uncomfortable at this time of year, consider whether environmental or seasonal allergies could be to blame. If your pet is suddenly chewing or scratching at his feet, you notice redness or inflammation between the toes. Seasonal allergies could be the cause. General itchiness can be a result of several reasons, so it’s important to see your vet if you notice an increase in the itch. Food allergies in pets can cause similar symptoms to seasonal allergies, which can include hair loss, skin and ear infections, and even lesions. Itchiness can lead to self-trauma from chewing or scratching, and subsequently, your pet could develop sores. Hot spots and can also be linked to food allergies. Starting with diagnostics can help to rule out other causes like mites, fungal infections or other medical conditions. It’s important to remember that seasonal allergies usually occur at certain times of the year, and can be caused by the same things as our human seasonal allergies, like pollen, grass, and even flea bites! Not to worry, there are many ways to diagnose and treat allergies. Allergy testing- a skin test done by introducing different allergens in a specific area of skin to see how your dog or cat’s body reacts. Fatty acid supplements like Omega 3 fatty acids or fish oil can help build up the skin’s natural barrier and can help to reduce inflammation. These types of supplements can be helpful for all kinds of allergies and have many other positive effects on the body. Antihistamines that people use can be given to dogs to help reduce symptoms of allergies such as itching. It is important to consult your vet before giving your dog over the counter drugs. Steroids are also available in cases where itching and irritation are severe. Your vet may prescribe a steroid to quickly reduce itching. In the case where steroids are necessary, your vet will help you to become aware of other side effects. Be sure to follow a veterinarian’s advice when using these medications. Controlling the exposure to the allergen itself is very important. Preventing your dog from having contact with known irritants can go a long way. Don’t walk in areas where you’ve experienced an allergic reaction, and try to avoid triggers for your pet. Your awareness can provide great relief for your pet! Many people don’t know that it’s very common for dogs and cats to have an allergy to fleas. One flea bite can cause severe itching and discomfort in pets. It can result in a terrible allergic reaction, so keeping your pet protected from fleas is critical. 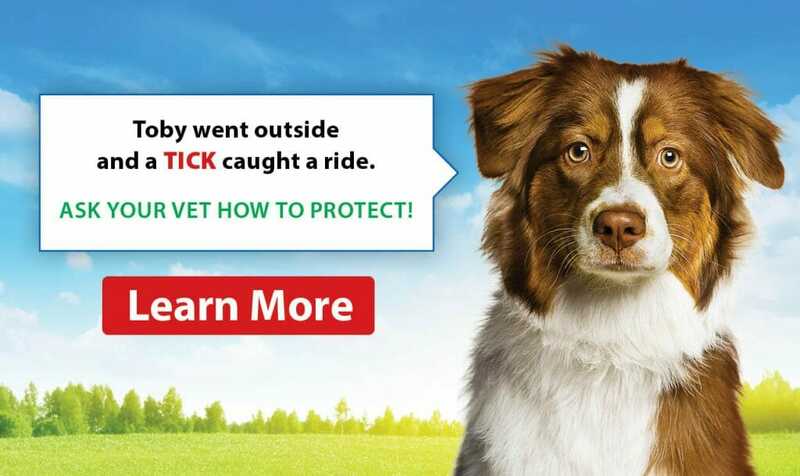 Talk to your vet about the many options for flea control. Getting to the bottom of your pet’s allergies can be a long and tricky process. Seek help from your vet and don’t give up! Happy Spring!